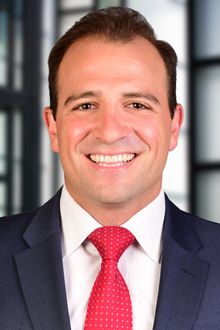 Michael T. Papa III is an associate in the Newark office of Lewis Brisbois and a member of the General Liability Practice. Prior to joining Lewis Brisbois, Mr. Papa clerked for the Honorable Joseph R. Rosa, Jr., J.S.C, in Bergen County. During law school, Mr. Papa interned for the Honorable Stuart A. Minkowitz, A.J.S.C, and served as the Managing Editor of the Rutgers Computer and Technology Law Journal.